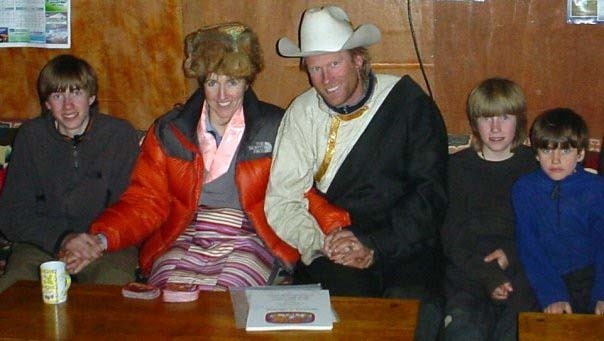 A few weeks ago, I was in Nepal with my husband, Conrad Anker, having a restful day in the heat of Kathmandu just hours before boarding our plane for home in Bozeman, Montana. After packing to depart, we were strolling leisurely in the lobby of Hotel Yak and Yeti when Conrad received a call from David Goettler. Goettler and Ueli Steck were on the south side of Shishapangma, an 8,000-meter peak in Tibet, where they were attempting a climb. As they approached the mountain, they found the bodies of two climbers melting from the blue ice of the glacier. Goettler described the boots, packs and clothing to Conrad, who knew beyond doubt that they were Alex Lowe and David Bridges. Conrad held the phone aside and quietly told me, “They found Alex.” He asked if I wanted to speak with Goettler. In shock, I declined. A sense of confused emotion enveloped me with a certainty that had always been presumed. Images of Alex filled my head, frozen in time and encased in ice, the man I had loved and shared life with for 18 years was now emerging from the glacier more than 16 years after he had disappeared. On Oct. 5, 1999, Alex, David Bridges and Conrad had been acclimatizing with an easy hike to assess their prospective route on the south face of Shishapangma. They were walking across the glacier when a serac broke from the summit ridge, and within seconds a white hurricane of snow and ice roared down and enveloped them. Conrad emerged from the cloud with minor injuries, but no trace of Alex or David Bridges was found. Alex had vanished, leaving me a widow with three little boys, aged 10, 7 and 3. The New York Times ran an obituary for Alex. Written by Christopher Wren, it was one of hundreds of newspaper accounts of his death. It arrived in the mail with a personal note from Mr. Wren: “Alex set high standards for us all. 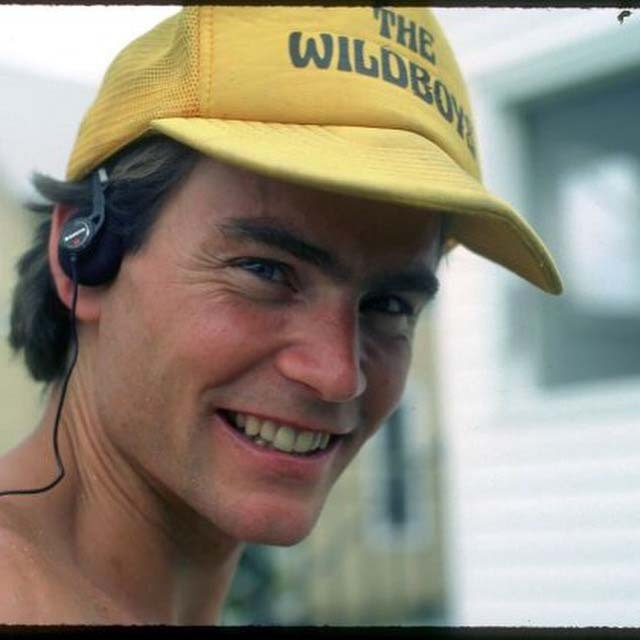 We climbers are going to miss him, but I know that you and your boys will miss him even more. Please know that you are in our thoughts and our prayers here at The Times.” Thousands of condolence letters arrived, including one from the White House, in the weeks that followed, and with help from family and friends I walked a road of bereavement as best I could. In the aftermath of tragedy and shared grief, Conrad Anker and I found love. Two years after Alex died, we married and he adopted our sons. I fell in love with Alex’s best friend, perhaps because of the characteristics I loved in Alex. They both had a thirst for life in all of its finest forms, were passionate, exuberant and pursued knowledge and a diversity of experience in nature and the world. Standing on mountaintops happened to be one of them. Much of our story is recounted in my memoir Forget Me Not, published in 2007, and more recently in the documentary Meru. We have lived 15 years as a family with the full spectrum of challenge and adventure, joy and sorrow, love and loss. The greatest adventure: Our boys have now become young men. Max, 27, is a photographer and writer working with National Geographic; Sam, 23, just graduated with honors from Montana State University in film; and Isaac, 20, just returned from a semester at sea and will resume studies in environmental science and art at Western Washington in autumn. Conrad and I have also shared an ongoing mission in Nepal through the Alex Lowe Charitable Foundation, which I launched in the weeks after Alex died. It helped me to turn grief and loss into positive action. Central to our work is the Khumbu Climbing Center (KCC), founded to educate indigenous Nepali and Sherpa with technical climbing skills and knowledge to help safeguard them in their dangerous work as high-altitude guides. Our trip this April was to oversee work on an earthquake-safe building that’s under construction high in the village of Phortse to house the KCC. Now in its 15th year, KCC has graduated over 1,000 students, many of whom are summiting Everest this week. “This is a good thing,” Conrad said as we gathered our thoughts about what comes next. “We can put this behind us now and find peace.” From Nepal, we called the boys in Bozeman and spoke with Max, asking him to relay the news to his brothers. “Conrad and I will go there.” I told him. Each of them decided to go too. Conrad and I had just spent a month in Nepal. We’d celebrated our 15th anniversary in Namche Bazar with Sherpa friends and had then overseen ongoing construction in Phortse village, home to more Everest summiters than anywhere on Earth. Rhododendrons and magnolias were blooming in profusion, splashing white, pink and red across hills above pathways of cobbled rock. Colored prayer flags fluttered over stone buildings that comprise each tiny village in the shadows of Himalayan giants. The tapping and chipping of stone masons added music to the roar of the Dudh Kosi River, reminding us that healing and rebuilding of Nepal is ongoing. After two dreadful seasons on Everest and the devastating earthquakes, tourist numbers are down and the economic drivers of climbing expeditions and trekking are not at their former levels to sustain Nepali families. Prayer wheels were spun and juniper burned throughout Khumbu in hopes that Everest would return her bounty to the people she towered above. As Conrad and I prepared to depart, we reflected and felt confident that Alex would be pleased with the life we’ve shared. Over the years, our family has spoken of going to Shishapangma many times, wondering and wanting to face the mountain that took Alex from us. But the business of life has always taken precedence. Now it is time. Conrad and I will travel to Lhasa and make the pilgrimage into the Himalaya together with Max, Sam and Isaac in the coming weeks. We will look up at Shishapangma, grateful that Conrad escaped her fury, and we will all say goodbye to Alex as we lay him to a final rest in a traditional cremation ceremony beneath the mountain where he died.